A podcast about taking charge of your deskjob! Hello, my cubicle clerks, open space salespeople, corner office connectors, home den dealers and coffee shop peddlers. My name is Brock Armstrong, and I am not the workplace hero. Let’s face it, these days I am more like a landlord who just checks in every once in a while to make sure everything is ok. You are the real heroes around here. I am going to come right out and say it. Right off the bat. I am going to be totally upfront with you. The reason I chose the topic of Self Promotion for this episode is that I have something to sell you (and if you listen to the audio version of this episode I will give you a discount code for $50 off). If you enjoy this podcast and the tips and strategies it contains, I encourage you to visit SkywalkerFitness.ca. That is the wellness coaching business that I run. Whether you are wanting to run a 10k or a marathon, race in a triathlon, pack on some muscle, clean up your diet, or get lean and ripped, I will create a plan for you. No cookie cutter programs allowed. Just 100% tailored programs that fit around your life’s commitments. And if you mention this podcast, you get a discount on your first 3 months of training! If you are a fan of these short, snappy and information packed podcasts, you will dig the Get-Fit Guy (and the other Quick and Dirty Tips podcasts). If you want to begin an exercise routine and don’t know where to start, or if you’ve been working out for a while and aren’t getting the results you want, I will give you the tips you need to reach all of your fitness goals. So head over to Get-Fit Guy and check it out. My name is Brock Armstrong and I am… not the Workplace Hero. I know you probably expected me to say that I am - but no. I am not. 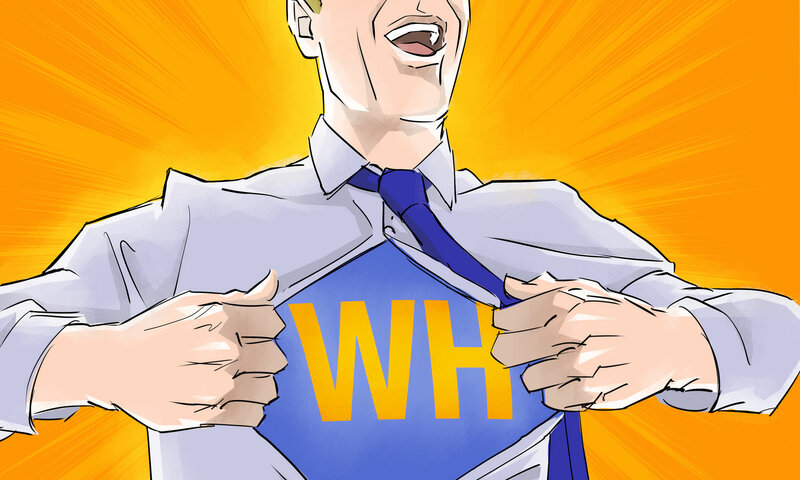 The goal of this podcast is to make you into a Workplace Hero. I am your partner on this journey. Think of me as more of a sherpa or concierge… but no matter what you want to call me, you are the true hero here. Brock "Skywalker" Armstrong is a fitness & wellness coach, podcast producer & host, audiobook engineer, videographer, web & email developer, songwriter & multi-instrumentalist, wannapreneur. Find out more at brockarmstrong.com and Get-Fit Guy. Workplace Hero is researched, written, narrated and recorded by Brock Armstrong. Additional research, social media and editing by Eleanor Cohen. Music by Brock Skywalker and His Irregular Heartbeats. Artwork by Ken Cunningham.